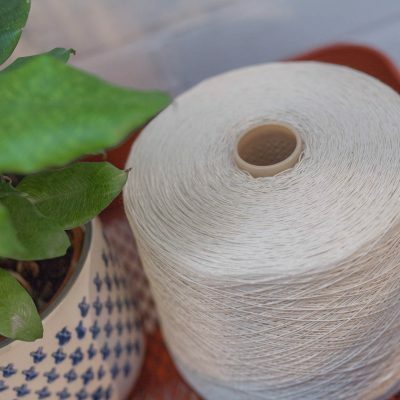 This gorgeous extra long staple (ELS) cotton is one of the finest and rarest cottons in the world. It’s exceptionally soft and the natural colour is a beautiful cream. 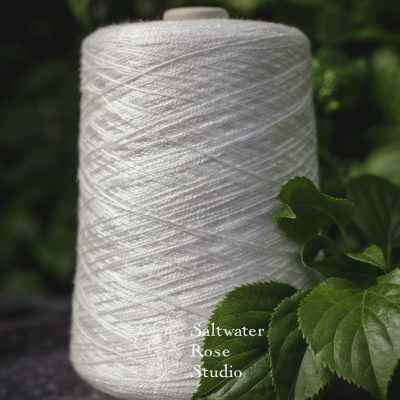 Incredibly difficult to find at retail, we are proud to work with a world class mill to make the finest cotton in the world available to handweavers and other artists. It dyes like a dream and feels like a cloud. The most common feedback from weavers is that they couldn’t believe how soft and silky it is until they felt it for themselves. It defies description. This is a 2×16/2ne yarn to achieve a final count of 4, an equivalent thickness of 8/2ne. 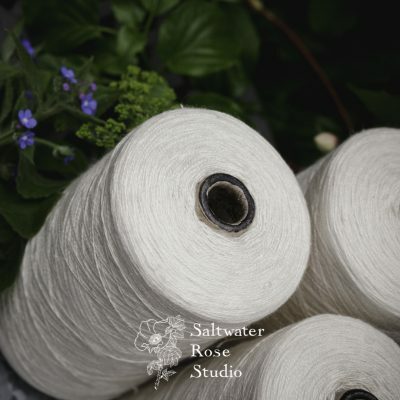 This is suitable for warping at a sett appropriate to 8/2 yarns and comes in 500g cones. 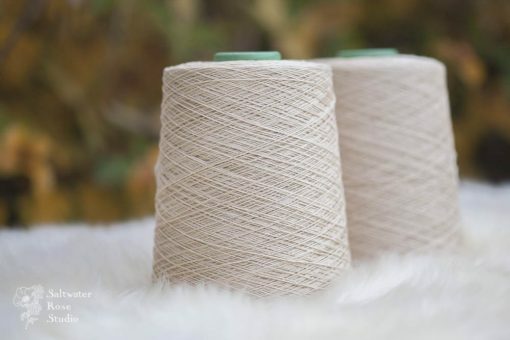 This gorgeous extra long staple (ELS) cotton is one of the finest and rarest cottons in the world. It’s exceptionally soft and the natural colour is a beautiful cream. This is a 2×16/2ne yarn to achieve a final count of 4, an equivalent thickness of 8/2ne. This is suitable for warping at a sett appropriate to 8/2ne cotton.